Write Good Arabic AdWords Campaigns and Stop Losing Money in Bad Written Ads! How to Write Good Arabic AdWords that Get the Money In? Writing Arabic AdWords is Critical! It is not simple to write good Arabic ads on AdWords, even if you were a good Arabic writer. Writing ads in Arabic is not just like any other writing process you implement when you write articles, stories, poetry, plays, or critiques. I know many good Arabic speakers who use this language wrong in a way or another. It is neither about being professional, nor about the way you use this language. It is about how to write for the Web, which is so different from writing in any other kind of publications. See the Ezine Acts Advertising along with Free Press Releases, Free Publicity and CTPM. So, whether you were a native Arabic speaker, or not stop losing money on AdWords you write in Arabic, if you do not know how to write correct Arabic. Stop using AdWords in Arabic, if you do not know how to write concrete ads, ad sheets, bulletin boards and Arabic pages in correct Arabic. Many written AdWords in Arabic bring my attention to the sore fact that many people are losing money while writing AdWords campaigns in Arabic. I assume that they haven't read the rich literature on Google Adsense before writing their ads. I have one direct experience from Turkey, through which I learned that Arabic Adwords users don't know how to write good Arabic ads and thus they lose money on this advertising module. Even Google loses money on such advertising, in stead of making Adsense revenues. They lose money, because they do not know how to write Arabic ads correctly. Some of the AdWords users do not know Arabic very well. Many AdWords in Arabic I read prove that poor Arabic ads do not work. They cost money. I have some proofs at bad Arabic ads to see how the advertisers used this language very bad to write such ads and lose money, instead of making money from their advertisements. Generating any Adsense revenue requires good written ads. These facts bring my attention to you... the AdWords campaigns Arabic advertiser to help you improve your ads, or even the entire of your business, whether it is a small business, or large scale Internet business. Do you know the best ways to write attractive and credible AdWords campaigns in Arabic? Do you find it difficult to write Arabic advertising while using AdWords? Do you know how to write well targeted and keywords focused AdWords campaigns in Arabic? Do you want to hire an Arabic AdWords campaign expert? Well, through more than 10 years of presence online and through failure and success, I can help you write good AdWords campaigns in Arabic, or even write free online business advertisement. Get this matter to my attention at the Contact US form. All you need to do is to use the advertising service and let me correct your written Arabic Ads, write them for from scratch, or translate AdWords written in English into good Arabic. I have seen many people using AdWords in Arabic wrong at my network of Blogs at Blogger, forget about the entire Web. The Arabic classified ads are also horrible. They appear such as funny advertising. They either do not know how to write in Arabic, or they are not Arabs and therefore they depend on some electronic language translations to write Arabic ads. See Ezine Acts Language Translation. The Arabic AdWords campaigns appear continuously with fatal errors in Arabic and look ugly. I know they should know how to write compelling advertisement in Arabic and how to write Arabic webpage. But, they all have missed that. It means that the advertisers who use AdWords to advertise in Arabic lose customers because they did not show any credibility in their ads. Therefore, no one would take action to respond to their offers. The native Arabic web surfers will never rely on what they offer. That also means they lose money on AdWords without knowing this fact. It is very important while writing Arabic Adwords to know how to optimize those ads in a different way, but also similar somehow to the Ezine Acts Optimization. Therefore, I know from this experience that they are not the only businessmen who lose money on bad written ads, but I also lose money as a publisher who uses AdSense through their Arabic AdWords campaigns on my network. Yes, of course, if they could write good Arabic AdWords campaigns they could make money on the entire Web and I could make money from their Arabic AdWords on my websites; a set of 4 websites and above 30 Blogs on Blogger and 60 lenses on Squidoo in my network. Through my expertise as Arabic teacher, journalist, writer, poet, novelist and critic know this language and I have even my own Arabic writing style, as a columnist writer. So, I can help you write correct, clean, good and credible Arabic AdWords campaigns. To order this consulting and writing services please do that using the following buttons to pay the fees for this service through PayPal. How much do I charge here for writing Arabic AdWords campaigns? I charge only $9.95US per stick of AdWords Arabic advertising. This is great, because you will learn from it how to write good Arabic AdWords campaigns yourself when you go through different examples of this service. Use the contact US form. I lose you in the future, as customer and you win in this case. However, that is so good too for you and I am saying it from an innocent heart. To send me your AdWords in Arabic to help you write them better or to send me your English AdWords to translate and write them better in Arabic use the form at Contact US. Read Arabic AdWords in Arabic below the following Advertising Site Map. The set of advertising marketing, offline businesses and online businesses on the Ezine Acts Network make a comprehensive Ezine Acts Articles Directory here. Few of the articles are in the following index of the Arabic Adwords. So, you could learn much from them. يلفت إنتباهي وبشكل مستمر وجود إعلانات من قوقل باللغة العربية علي العديد من مواقعي في شبكة تتكون من أكثر من مائة موقع وقد كُتبت بلغة عربية ضعيفة وبأخطاء لغوية واضحة. هذه المسألة تدل علي أمرين هما اما ان يكون أصحاب تلك الإعلانات لا يعرفون كيف يكتبون اللغة العربية بشكل صحيح واما ان يكونوا غير عرب انما يستخدمون محركات ترجمة إلكترونية وفورية وهنا تحدث الأخطاء اللغوية بسبب الترجمة الإلكترونية. من خلال تجربتي وخبراتي التي إكتسبتها عبر طريق اكتنفه الفشل والنجاح لفترة تمتد لاكثر من عشر سنوات اونلاين ومن خلال معرفتي التامة الأكيدة للغة العربية ومن خلال خبراتي السابقة كأستاذ وخبراتي السابقة والراهنة كصحفي ومن خلال خبراتي كشاعر وقاص وناقد أعرف تماما أبجديات الكتابة العربية وأعرف حتي كيفية إستخدام هذه اللغة في خدمات الإعلان. يلفت إنتباهي و بشكل مستمر وجود إعلانات من قوقل باللغة العربية علي العديد من مواقعي في شبكة تتكون من أكثر من مائة موقع و قد كُتبت بلغة عربية ضعيفة و بأخطاء لغوية واضحة. هذه المسألة تدل علي أمرين هما اما ان يكون أصحاب تلك الإعلانات لا يعرفون كيف يكتبون اللغة العربية بشكل صحيح و اما ان يكونوا غير عرب انما يستخدمون محركات ترجمة إلكترونية و فورية و هنا تحدث الأخطاء اللغوية بسبب الترجمة الإلكترونية. من خلال تجربتي و خبراتي التي إكتسبتها عبر طريق اكتنفه الفشل و النجاح لفترة تسع سنوات اونلاين و من خلال معرفتي التامة الأكيدة للغة العربية و من خلال خبراتي السابقة كأستاذ و خبراتي السابقة و الراهنة كصحفي ومن خلال خبراتي كشاعر و قاص و ناقد أعرف تماما أبجديات الكتابة العربية و أعرف حتي كيفية إستخدام هذه اللغة في خدمات الإعلان. فإذا كنت مستخدما لإعلانات قوقل او إذا كنت معلنا باللغة العربية في أي مجال فأنا علي إستعداد لمساعدتك في كتابة إعلانات عربية نظيفة، صحيحة، موثوقة و مقنعة من خلال لغتها. هذه الخدمات الإستشارية يتم تقديمها من خلال الإستمارة علي رابط الاتصال بنا اعلاه. In addition to Arabic AdWords, you may also be interested in the following articles on the Ezine Acts Articles Section. Digital and Video Products, including audio and video articles, such as Audio Products and NTI Home Video. If you found Arabic AdWords useful, please do share it with your services through the small buttons at the top left, right and the bottom of the page. 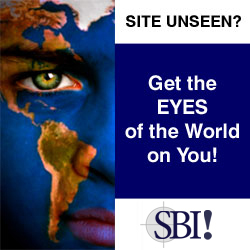 The Solo Build It (SBI) tools at the bottom of the page empower the Arabic AdWords page and the entire Ezine Act. You can use them to empower any idea in your mind and build it a thriving internet business in ten days. 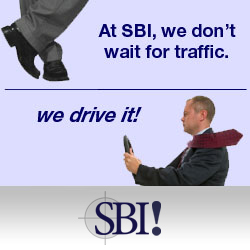 SBI helps you write good for the Web. You can read about Solo Build It also at About SBI, the Arabic SBI page and the SBI Discussion Board. Use the "like" "pin" and "tweet" buttons at the top of the right column to support the Arabic AdWords at FaceBook and Twitter.